I travel back and forth from Dallas to Houston for work and I had alittle free time so I was looking up a few girls and seen one of my supposedly be favorites but end up being a nightmare. So I call her up and we confirm a time and day. Smh! She told me she was at hotel well motel that I would never would think she will stay at but she said the hotels was very expensive that’s why she had to get that motel but I went anyways because before I had a good time. I got to her room and I notice she was acting kind of nervous and different. Which I never experienced when I seen her twice before and our session went good but this time something was weird because she didn’t smell too good not even looked to good like she was high and smelled like liquor. I don’t know if she been up all night or not. Very little conversation, No hug or kiss just told me to get comfortable so I took off my clothes and and she start giving me a bbbj but something didn’t feel right next thing I notice a man come out the restroom with a gun and told me to give him everything. I got so scared. I don’t know if it was her pimp, drug dealer whatever. He told me if I try anything that he is going to shoot me. I didn’t move. So they took my Cash, watch, wallet with everything in it ID. CC cards etc. While he had the gun pointed at me Destinee was the one going thru my pants. They took my Cash, watch, wallet with everything in it ID. CC cards etc. Once they got everything he told me don’t move for 10min or he coming back for me. I never been so scared in my life. Just my wife and kids flash thru my head. I didn’t move I even waited longer because I didn’t won’t to die. I didn’t know if I should tell front desk and they would call police then my wife would found out which would be very disappointing or just leave and take as a lost and cancel cards and get another ID so I chose to report cards and get another ID. I can’t believe she set me up. I been in the hobby 10yrs and never experience my life could of been tooking over seeing a provider. This is a false report! I did not see this person while i was in Houston. I have several individuals who seen me while in Houston and in my time on Eccie who can prove I am indepedent and I do not whats so ever do drugs nor drink! This person is upset because I would not do something he asked of me and for that he threatened me to do this. I did not think he would but I guess you never know someone! If anyone can please give me information on how to please resolve this and have the negative Encounter he posted removed I would greatly appreciate it! And please anyone who has seen me and experienced me I hope yall would defend me on this! Sounds like both need a new hobby. Sounds like they both need an English class. They're both making the same third-grade grammar mistakes. I have net destined and she is the nicest woman I have met. I was very surprised to see this. I don't think she can do this. She is very good and I support her. Hmmmm. 3 pages of YES reviews in 6 months. That looks pretty good to me. After a few more future YES reviews, this one should be a wash.
PS. What did he ask of you that you wouldn't do? Be back soon headed to Wally World for more beer & popcorn stay tuned folks. Dumbass don't cheat on your wife and kids and this won't be a problem. 2 Positive Reviews and a negative in a months time... There was no session for the negative one to take place... He also threatened me with this bad review... Am i allowed to post my Screenshots of his threats? If anyone would like to see proof please feel free to pm or text me at my number on my profile... Is it also interesting that i am the only one defending myself? I have plenty of reviews to back my personality and my skills and also to show how sweet of a person i really am... I really appreciate the ones who have helped amd been behind me in this... Im going to keep my head up and continue to be the great person that i am and be positive and just continue to be the best provider that i can be! Do not post screen shots. That may get you banned. Don't take a chance. Just keep on keeping on. Hopefully this will take care of itself. If you keep coming back to this thread, it will just keep getting worse. 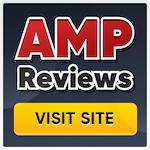 Let your reviews talk for you. Just don't screw up anytime in the near future. I would suggest blocking him, you won't see what he says, but he won't see what you post either. Blocking someone doesn't prevent the person being blocked from seeing your posts. It only blocks the blocker from seeing the person being blocked. So if I block you, Warptcuck, you'll still see my posts, but I won't see yours if I block you.